I am definitely a cat person if the image at the top of this blog hasn’t tipped you off. 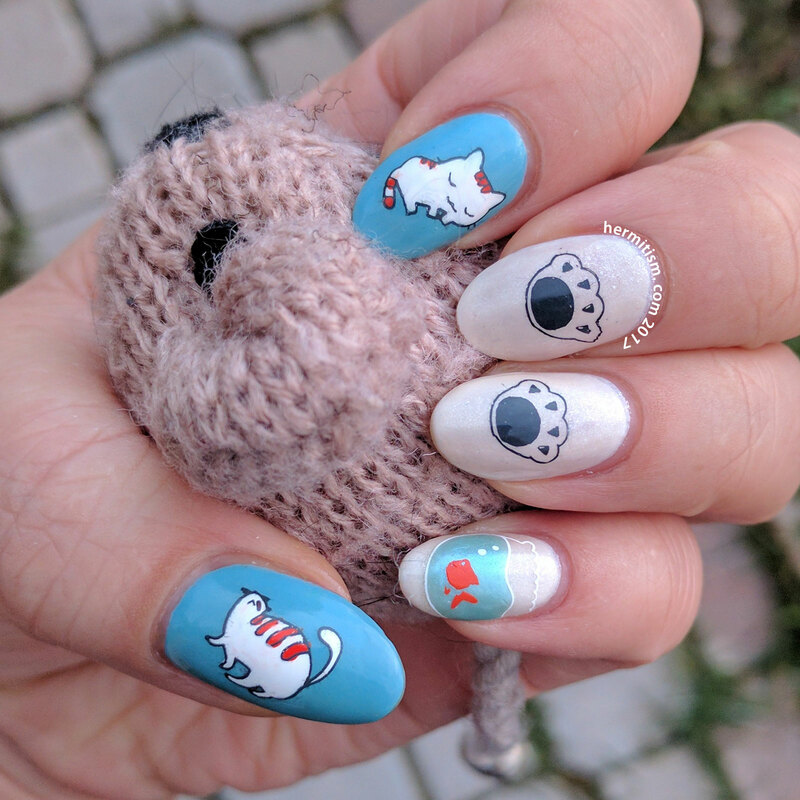 Harunouta has some great nail stamping plates for pet lovers and that is what inspired today’s nail art. The only thing I did out of my usual was remove the fish from the fish bowl when I was making the decal for my pinkie finger. I then added it back again on top of the decal in orange. Clear stampers are awesome. I stole my cat’s toy mouse to take some of my photos. She doesn’t play with them very much anyway. Hair ties are more her thing. 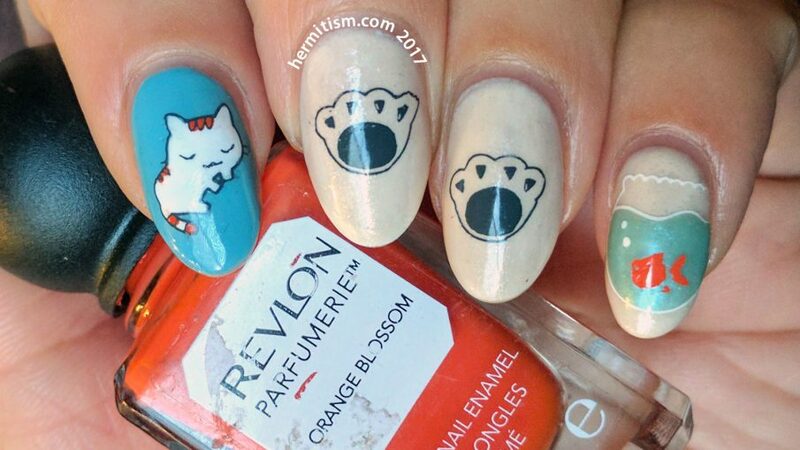 Awww super cute mani! I am a cat lover too; mine always loved playing with hair ties too.